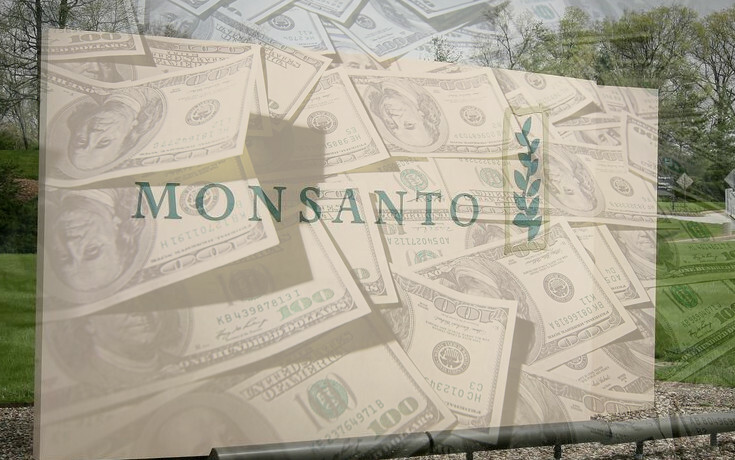 Recently, a changing of the guard of sorts happened in Monsanto’s home city of St. Louis, as the company’s infamous signs were taken down and replaced by those of Bayer’s new GMO American GMO crops division, which expects an operating budget in the billions of dollars next year. But while the players have changed, the game remains the same, based on deception, astroturfing and bending perceptions by any means necessary, according to new accusations from Greenpeace and the British newspaper The Guardian, at least. Is Monsanto guilty, just like they were found in the recent blockbuster glyphosate-cancer case here in the U.S., or can we really trust the world’s oft-voted ‘Most Evil Company’ to play by the rules? According to the new investigation from the environmental activist group and British newspaper, Monsanto created fake professional groups in at least seven countries in order to go to bat for glyphosate, the controversial herbicide deemed a “probable human carcinogen” by the World Health Organization’s IARC body in spring 2015. The purpose of the alleged fake groups was to make it seem as if farmers deemed the chemical, the main ingredient of the Roundup herbicide, to be considered safe. “But neither this Twitter account nor the website, know who are the founders of this group, observes RMC. ‘It’s just mentioned that ‘Agriculture and Liberty’ is supported by a ‘coalition of users and manufacturers of agricultural products’, no trace of a farmer among the founders, why, because in reality this group has was created by a lobby,’ accuses the website. The source of the story is L’Obs, a weekly French news magazine. It was said in the article that several other groups including ‘Free to Farm’ in England, ‘liberta di Coltivare’ in Italy and others are all based on the same model of offering good press to Monsanto, and they do not exist in France. But according to Greenpeace, they have been present at at least 33 agricultural fairs, working on behalf of protecting glyphosate from being banned despite never revealing their ties to Monsanto. It is well known that GMOs are banned throughout most of Europe and almost never cultivated. And unlike the United States, where farmland is being drenched by record amounts of the chemical, far less of it is used overseas in European countries. As far as potential bans go, Europe is way ahead of the curve as well. But despite massive public support for banning the chemical in countries throughout Europe, a five-year extension was granted after a razor-thin EU vote in 2018. That means that glyphosate bans won’t be on the table again until 2022 at the earliest, placing hopes for a cleaner food system squarely on the consumer yet again. Such a ruling may seem light years away, but it’s clear that public perception is shifting not just in Europe but here in the United States as well: a $289 million ruling in favor of terminally ill groundskeeper Dewayne Johnson earlier this year cemented the fact in many people’s eyes that glyphosate and Roundup are simply not worth the risk, especially when there are so many healthier natural alternatives available. If you’re looking for natural glyphosate alternatives for next spring, you would do well to start here, or to look into Biodynamic gardening (learn more in this book) and permaculture; two systems that are the future of natural farming without chemicals and go far beyond what even organic can provide. Thanks for reading! For more information on Bayer’s latest multi-billion dollar GMO plans, check out this article. You can also subscribe for more stories like these in your inbox (plus a free eBook) by clicking here. Tags: bayer monsanto scandal eu, bayer monsanto scandal in europe, glyphosate bayer, glyphosate monsanto, monsanto cheating in europe, monsanto cheats in europe, monsanto europe scandal, monsanto fake groups, monsanto fake pr, monsanto fake pr in europe, monsanto in europe, and what did monsanto do in europe.